Taylor surprised Alex Goldschmidt and Ross Girard at their engagement party. Taylor sang King of My Heart for them as well! For the US version of Taylor’s Elle article, she wrote about 30 things she’s learned in the last 30 (technically 29) years. Sounds an awful lot like this part of her pride speech right? If you pay close attention to the numbers in the essay, the colors resemble the lesbian ride flag (different shades of red and pink). Here’s Taylor in her lesbian pride flag dress from tour too! Taylor donated $113,000 to Tennessee Equality Project, an organization that supports LGBT rights. Mike Curb from Curb Records also matched Taylor’s donation! Last October, Taylor posted this picture of her and Andrea playing Scrabble. Seems harmless right? Hahaha, no. 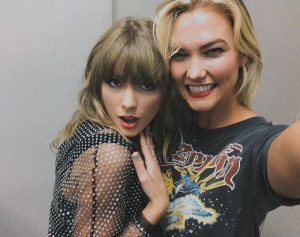 This is Taylor Swift after all?? Fans speculated that because of the caption and the fact that National Scrabble day is April 13th, that something would be happening that day. April 13th is also a day that was stamped on the calendar Taylor released. Fans ended up being correct. 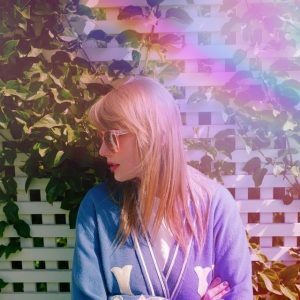 On April 13th, Taylor announced that something (presumably a single) would be released April 26th, 2019. April 26th also happens to be Lesbian Visibility Day. Coincidence? I think not. Here’s another post with tons of notes pointing out what day the 26th is as well. Taylor posted a close up of what appears to be her in a yellow suit wearing two rainbow rings. It was eventually noticed that Taylor was wearing the two rainbow rings on her ring finger on her right hand. Here’s a post explaining more about what that means. This is important because there’s been heavy speculation that her and Karlie are engaged (at the very least).